Just by taking the name of ‘Himachal’, you start imaging of snow-covered mountains in front of the eyes and the beautiful scenes that appear all around. The place forces the tourists to visit this place. Immersed in the lap of nature, it’s also known for nature parks and picnic spots. The place also has a corner for Potato Research Station. It’s a place for winter sports which is full of lush green cliffs. There are no shortage of places in Himachal Pradesh that are surrounded by beautiful scenes from all sides but if we talk about the place where tourists want to come again and again, the name of that place is Kufri. Located in the southern part of Himachal Pradesh, Kufri is located approximately 16 km from Shimla. There is a small town. Here you can spend a very beautiful time with your family. This place is named after the word Kufri, which means the lake in the local language. Due to the attraction associated with this place here, tourists come here every year. Fogu Kufri, Mahasu Peak, and Great Himalayan Nature Park are the places to visit in Kufri for tourists. In addition to the beautiful instruments, Kufri is also known for its trekking routes. Here you can enjoy bungee jumping, horse riding, rope climbing, etc. To take advantage of these things, you have to take a little more budget to run the budget. This hill station is 2,510 m from sea level. Located at the height of and is full of different attractions. Thousands of tourists reach Kufri every year and once you arrive here, you want to settle here forever. Beautiful showers and cold-flowing winds … all you can find in Kufri only. If you go to winter here you will see the tourists Skiing here. During this time the tourists arrive here with their skiing gears and are ready to throw snowballs on each other and make snowmen. By the way, if you want, you can create a program to go for a summer vacation this summer. One can try adventure activities like camping, hiking, horse riding, Skiing, Tobogganing, and go-karting and trekking. The are many adventure seekers who wait for the annual winter sports festival in Kufri which is held in February. Kufri has a plethora of budget and moderately priced hotels that offer first-class amenities and excellent services to its guests. So, you choose the best accommodation for yourself and enjoy vacations in luxury. Where To Give Rest To Your Empty Stomach? A few of the hotels are there which have in-house restaurants in the Main Market area offering delicious cuisines like Chinese, Indian, Continental and Italian. If you want to enjoy the local food of Himachal at an affordable price, then you can walk along the streets of Kufri, which are punctuated with numerous street stalls serving savory parathas, chaat, and noodles. For a sip of hot coffee, you can go to the Coffee Shop in Indira Tourist Park, which has thousands of locals and tourists from around the world. 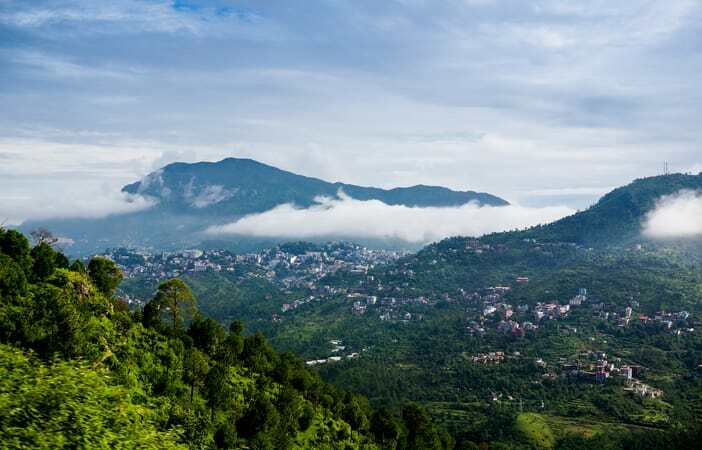 During Summers, Kufri is having a temperate and pleasant climate that marks its beginning from April and ends till June with an average temperature ranging from 12°C to 19°C. Therefore, Summer is the ideal time to visit this place. Then arrives, the Monsoon in the month of July and has its extension till September with temperature reducing to 10 °C. Winter season starts in October and puts a full stop to its chilly climate in March with a temperature ranging from 17°C to -3°C. In this season, the place observes heavy rainfall that attracts honeymoon couples and tourists to visit this place at the same time. March to November is the ideal time to visit Kufri as the weather is quite pleasant and one can experience an enchanting vacation in Kufri. So, if you’re planning for a perfect weekend getaway with your beloved ones, Kufri is the place for you! 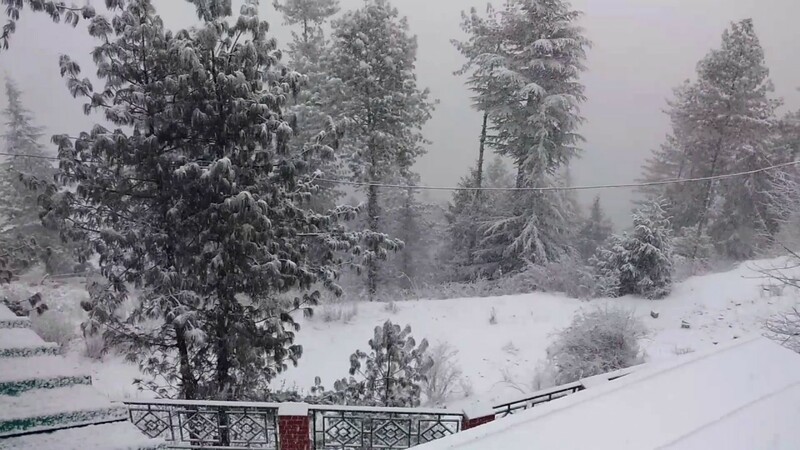 Also Read: If Snowman Z What U Dreamt, It Comes True In Himachal! Next articleAn unforgettable trip to Egypt!